2070. Our world has changed. The rising level of the ocean has harmed the coastal cities and climate change has made large stretches of land inhospitable. The latest in the award-winning strategy series, Anno 2070™ offers a new world full of challenges, where you will need to master resources, diplomacy, and trade in the most comprehensive economic management system in the Anno series. Build your society of the future, colonize islands, and create sprawling megacities with multitudes of buildings, vehicles, and resources to manage. Engineer production chains such as Robot Factories, Oil Refineries, and Diamond Mines,and trade with a variety of goods and commodities. - The game takes place in 2070. As with the entire line of Anno, this game – simulator manager, you want to build brick by brick, a huge city with its complicated infrastructure and production, planned to increase their population, to listen to the needs of ordinary people and trade / war with its neighbors. - From the title Anno 2070 clearly shows that the lift on his feet the whole metropolis we are in 2070, the year. As usual, the future of humanity is prepared to test Mother Nature. The gradual change in the Earth’s climate will lead to a massive increase in sea level and cause the masses of people to adapt to rapidly changing conditions of life. - It refers to rulers who are building their empire – they have to get along with environmental and climate problems, because as the construction of cities world Anno 2070 will also vary in their own jealously respond to all that a player will do with the few scraps of land suitable for of life. During the construction we will be able to adhere to the two doctrines – the industrial, which is typical of the faction “magnates» (Tycoons) and is very effective for rapid development, and environmental more friendly to nature and is a fundamental principle of the other faction, called “Environmentalists» (Ecos). The choice of hand depends on the way to change the world in Anno 2070. - In addition to the single-player campaign that promises a lot of trials and the “plot turns”, in Anno 2070 there are popular among the people “infinite” mode of the game, which essentially amounts to the creation of the highest possible civilization, and multiplayer with a cloud of “innovative” ideas. Great graphics and an updated engine in the list of promises also appear. 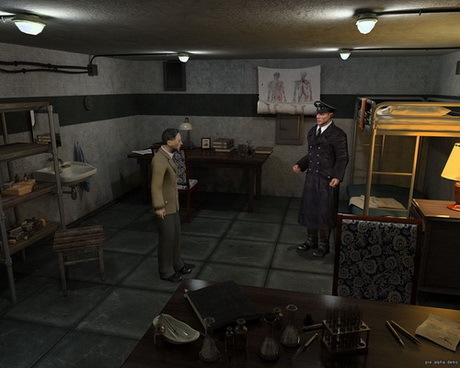 * Detective adventure game in historical surroundings. 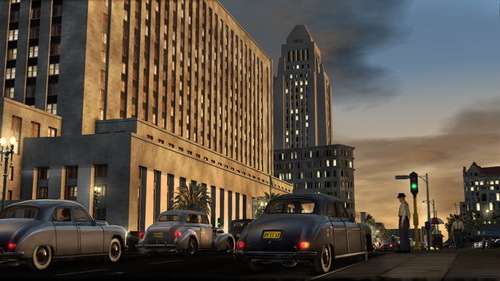 * Full immersion into historical atmosphere, with an option to play in black and white movie style. Pandemic Studios invites you to play the role of a saboteur in the game with open world of new generation, combining elements such as adventure, and thriller. To avenge the death of their loved ones, track down their killers in the Nazi-occupied Paris. You have to fight, climb and drive. This is the first game in which the user will come to grips with diversions in stylized Paris 1940, where the women are beautiful, ambitious feats, and retribution is inevitable. • Paris at your disposal. 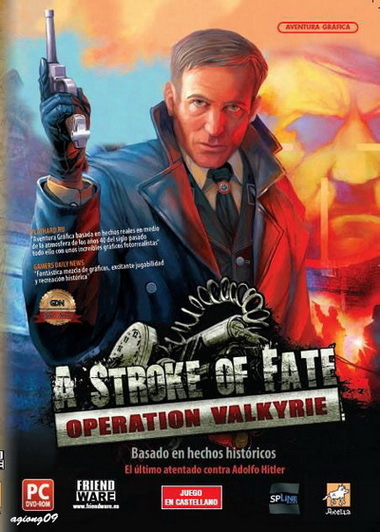 The game takes place in enemy-occupied Paris. The whole city is at your service, you decide where to go and what to take to as much as possible harming the enemy. The main attractions and areas of Paris, including Eiffel Tower, Notre Dame and the River Seine, carefully recreated in the game. • Become a saboteur. In an open confrontation you do not win, but through a carefully planned acts of sabotage, you can do serious harm to the enemy. Use an impressive arsenal of weapons and explosives to destroy a strategically important facilities and otherwise disrupt the enemy's plans. • Quietly crept up, loudly gone! Climb, and sneak silently killing enemies, picking up his goal, and when the thunder deafening explosion, use a system of hiding to fight to break through the enemy ranks perepoloshennye. • As the snow on his head. Your best weapon - surprise. To get close to an enemy undetected help Parisian rooftops. Climb on the building and glide over the city, eliminating enemies before they realize the danger. • Change the world. Occupied Paris, will appear before you gloomy, pale, depressed town. But as far as how you would deal blow after blow to the enemy, the world will be filled with colors, and the townspeople take heart and take up arms. • Military race. The protagonist - the auto mechanic, so it is easy to get along with any equipment. You have to move away from his pursuers, driving a sports cars and military vehicles. 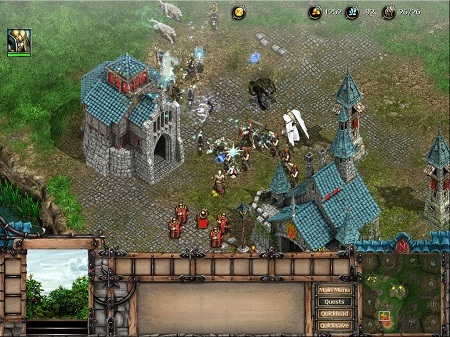 Paths to a Kingdom features gameplay similar to that of past 3D games of The Settlers series. The player may choose between playing a Campaign game, a Skirmish Game, a ranked game and a multiplayer game. 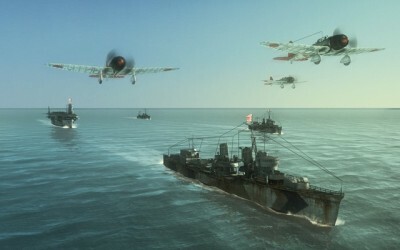 The game gives the player an opportunity to choose between three unique paths of development for victory: Military, Science, and Trade. In the traditional Military development path, the player builds the kingdoms army in order to conquer and destroy enemies. In the Science development path, the player must focus on researching technological upgrades. Finally in the Trade development path, the player builds their economy and attempts to occupy the best trade routes on the map. Each path of development contains unique units and possibilities. In all development paths, the player wins by collecting Victory points throughout the course of the game. 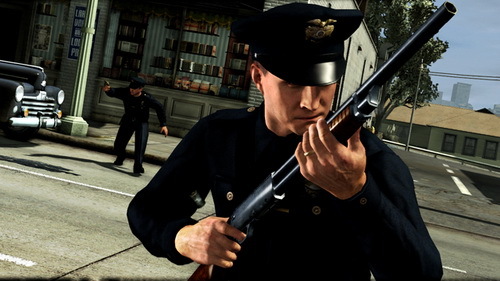 The AI enemies have been greatly improved over those included in previous games, with more than twelve different AI profiles with unique behaviours. 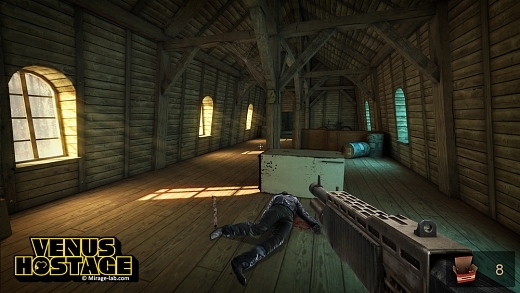 The game also includes an extensive new online multiplayer mode which allows players to both compete and co-operate with one another as well as gain tutelage in the form of a mentor request. Players can also generate and share content. Campaign Mode: The player begins with a simple village and expands it sector by sector to create a kingdom. During this process, the player must fine-tune their production chains and transport systems. The Campaign mode is also the tutorial. It starts with very basic instruction and upon the completion of each section, it unlocks additional functionality of available tools and methods. It’s a clear day. Sun rays illuminate the room and fill it with warmth of the end of the summer. In the atmosphere of leisure and peacefulness of the first leaf falls, nothing portends a trouble. But less than an hour passes and you find yourself drawn into the story that shed light on the sinister mysteries of the yards and backstreets — the other side of this once quiet town. What secrets keep those houses with friendly facades and light entrances? – Today you’re going to find that out. And how come you just agreed to a meeting with this mysterious lady? When a man has won all his battles and defeated his enemies what is left for him to achieve? Ezio Auditore must leave his life behind in search of answers, In search of the truth. BECOME DEADLIER THAN EVER - Take on the lethal skills of a wiser, more efficient and deadlier Ezio. Swiftly eliminate your adversaries by deploying a new arsenal of weapons and abilities, such as enhanced free-running and hook blade combat. Experience new levels of gameplay customisation with bomb crafting, and use heightened Eagle Vision to overcome your enemies and the environment. TEST YOUR SKILLS AGAINST THE BEST - A critically acclaimed multiplayer experience gets even better, with all-new team modes and unlimited replay value. EXPERIENCE REVOLUTIONARY GAMEPLAY - Explore the farthest reaches of the Animus as you uncover the mysteries of Desmond's past while gaining insight into what the future might hold. RACE Injection enhances the smash hit formula of RACE 07 by combining the most requested content from five separate expansions – Formula RaceRoom, WTCC 2010, STCC The Game 2, GT Power and the Retro expansion – into one new retail pack. The powerful cars can be raced on more than 40 tracks from around the world with over 60 different track configurations. Cars, classes and tracks can be endlessly mixed and matched to create unique and thrilling championships and events. * Eight Modern Planes to Fly: Choose from eight modern, state-of-the art airplanes turned into killing machines, each with four different skins for a total of 32 unique racing skins. * Stunning Visuals: Race through scenic venues like the Grand Canyon, Alaskan Terrain and Hawaiian Islands, created with beautiful, vibrant colors. * 8-person Multiplayer: Take your friends down either locally or online in this fast and furious battle. * Three Unique Game Modes: Power Race Mode is high-speed racing paired with power-ups; Speed Race Mode where players navigate the course through ring targets that accelerates plane speed and Survival Mode where pilots race against the countdown clock and each other. * Experience an Adventure Platformer like you’ve never seen before! * Master the challenges of changing camera angles, gravity and movement between 2D and 3D worlds! * Collect unlockable abilities that let you SOAR, SLIDE, JUMP and BLAST through your enemies. * Fight bizarre boss battles, including a sadistic pink bunny that vomits sadistic pink mini-bunnies…yeah, we’ve got that! * Check out the bangin’ soundtrack by Mr. Lif. Rising Kingdoms is a Real-Time Strategy set in a fantasy world, which focuses on empire development and dynamic tactical battles. 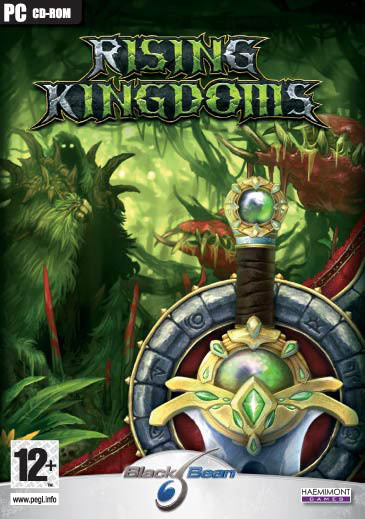 Set in the beautiful fantasy world of Equiada, home to magical creatures, mighty leaders, and powerful wizards, Rising Kingdoms, offers players the unique combination of both strategy and adventure modes. In strategy mode the player is able to choose from 3 major races: Humans, Foresters and Darklings, and use them to capture, enslave and develop five independent nations – Shades, Nomads, Dragons, Trolls, and Elves. Combined with the player’s main race these allies provide a valuable asset when fighting other kingdoms and powers. In adventure mode the player controls a group of Champions and a small squad of troops uncovering dark secrets and surprising twists as the adventure unfolds. The story spans over several generations portraying powerful ancient artifacts, the rise and fall of mighty leaders and glorious kingdoms, and the birth of new mystical creatures and races. Nitronic Rush - mad race to the bottom with neon graphics from skilled students from the Institute of DigiPen. Use the car a lot of abilities, including nitro, jump wings, and to cope with obstacles on the route that will be popping up everywhere. The route you can go through different ways you can go on the road or take off and land on the wall and go through it, you have the whole area of ​​the map, you can go around (except the bottom). Combat Mission: Battle for Normandy faithfully recreates the experience of tactical land warfare in Western France during World War II. Using the unique Turn-Based (WeGo)/Real-Time hybrid game system, the first installment in this new series covers the three months after the Allied D-Day landings in Normandy in June 1944, from Operation Overlord in June through the Cobra Breakout in August. At the player’s fingertips are a large array of carefully researched US and German Army formations, equipment, and vehicles, making for a versatile, genuine and powerful battlefield simulation. 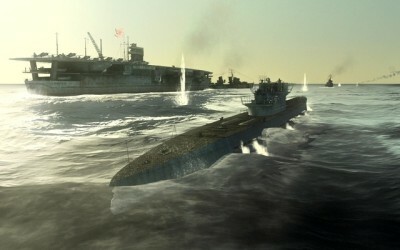 Hunt, hide, and kill as you take command of U.S. submarines and crews and navigate the treacherous waters of the Pacific during WWII. 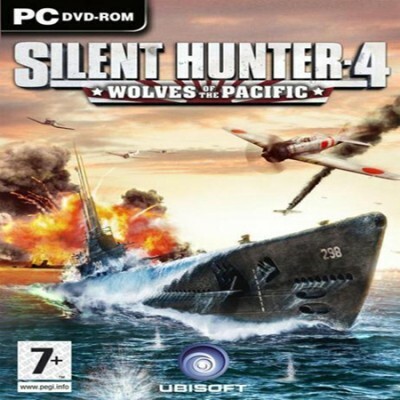 Silent Hunter, the industry leading naval warfare simulation franchise for over a decade, returns to its roots with next generation graphical realism, immersive gameplay, innovative crew evolution, and more action than ever before.Developed by the same Ubisoft team that delivered Silent Hunter 3, the king of sub games, to worldwide critical acclaim, the 2007 installment offers the most memorable, accessible, and empowering submarine simulation experienceever. Like its predecessor Silent Hunter 3, the simulation features a fully dynamic campaign. The game gives players various mission objectives and unique rewards, and attempts to make each campaign a unique experience. 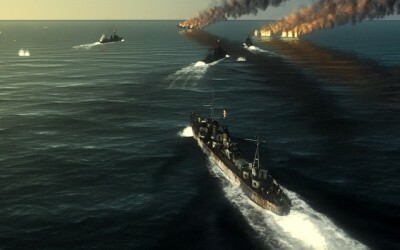 The major naval battles of the war in the Pacific, such as the Battle of Midway are re enacted and players are informed of them via in game radio messages. 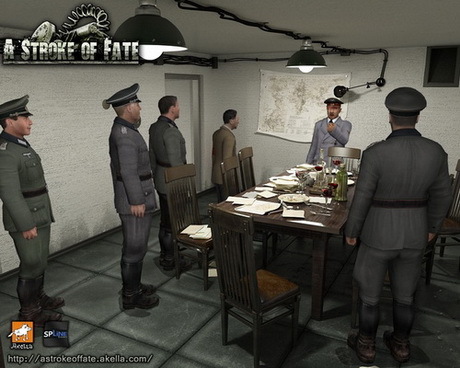 However, unlike its prequel, the game gives more specific and varied mission objectives during the campaign (patrol area and engage enemy shipping/deploy to and await orders/rescue survivors/search area for enemy activity(take photos)and: deploy spy), rather than just assigning a specific patrol area. Quest is an extension of the famous movie "Jurassic Park". The plot continues the events of the first part, with the game, as befits a project Telltale, will be divided into five episodes. The game will unfold in a familiar fans of Foggy Island, and the writers promise to develop those storylines that were left over: for example, we finally learn what happened to the embryos that are lost programmer Dennis Nedri.